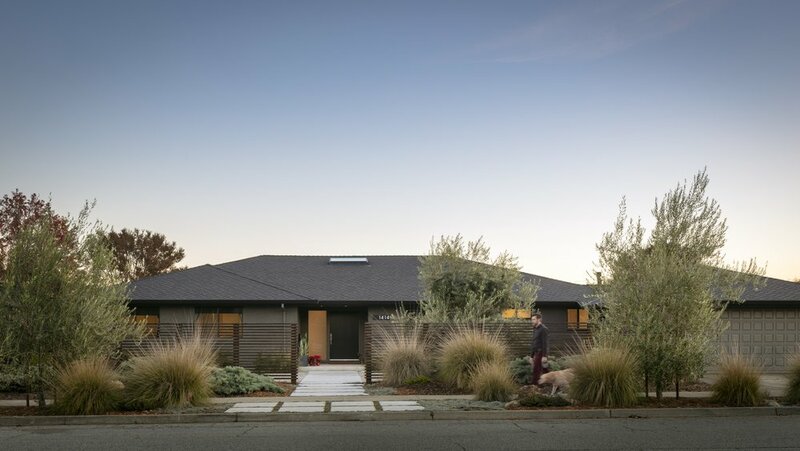 What began as a modest project to be completed in one summer became an extensive whole-house remodel spanning three phases and four years as the client’s vision evolved and the scope expanded. The client in this case is a professional couple with two young boys. As a typical first step, we spent quite a bit of time observing their lifestyle and activities, as well as understanding their likes and dislikes of the house. Similar to many sprawling properties in this suburban neighborhood, this house is really large in terms of square footage, but the spaces were often underused because they were divided and disconnected from one another: living, dining, and family rooms were scattered all over the place, and the all important kitchen was relegated to a small room right by the front entry. In consideration with the client’s wishes and budgetary concerns, we planned the renovation in three phases with the first one being the core of the project that addresses the overall layout. Phases 1 completely opens and reconfigures the common areas. Instead of a long corridor across the center of the house, a line of custom cabinets (white oak with medium dark tone stain) punctuated with openings forms a spine that defines and connects the new kitchen, dining, and living areas. In this newly created ‘Great Room’, spaces and activities naturally flow and overlap, while the perpendicular axes form a U shape that encircles a covered deck. Floor-to-ceiling glass sliders open up the dining area to the deck for seamless indoor/outdoor living. Wide plank flooring of white oak (clear finish) adds presence and visual interest against the brilliant white walls and dark cabinetry. Phase 2 is a small project which consists of flipping the original hallway bath and laundry. This results in a better located and functional laundry/mud room nearest to the garage entry, and a new bath closer to other activities in the house. Phase 3 deals with the private wing of the house. A master suite is reimagined with the addition of a new master bath, and conversion of a hallway into a spacious dressing area with wall-to-wall custom closets. All cabinetry here is made with walnut panels. An existing bath is also renovated and now serves as the boy’s bathroom. On the exterior, a new coat of matte dark paint conceals the unsightly stucco textures. 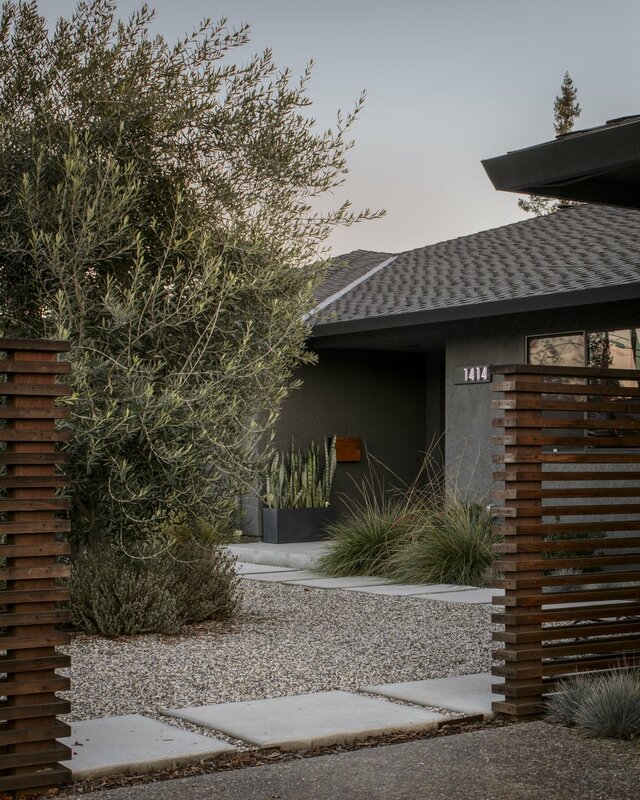 Modern style fencing with horizontal wood slats and luxurious drought tolerant plantings soften the appearance. Our goal is to create a distinctive residence without being inharmonious in a neighborhood of houses painted mostly a light beige.